“Globally, 720 million people living today were married before their 18th birthday. Zambia has one of the highest child marriage rates in the world with 42 percent of women aged between 20 and 24 married at the age of 18 years this has not changed for over 13 years. Marriage denies young girls their full childhood, disrupts a child’s education, limits their opportunities and increases the risk of violence and abuse in a marriage. Nyamphande has always believed in the education of the girl child as woman in Zambia are a cornerstone to child development. We are proud to have seen a change in the community towards the girl child as the number of girl to boys is almost on the same equal in our early grades. 2. We have 125 boys, 63 girls in grade 8 and 9. 3. We have 90 boys, 60 girls who are in grade 10 and 12. 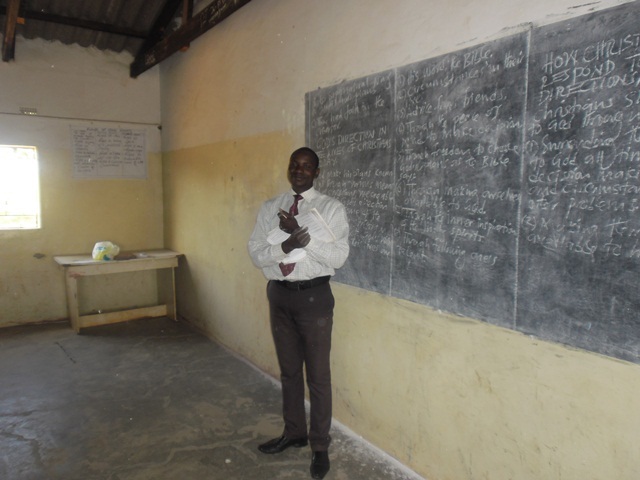 One of the government seconded teacher with diploma. 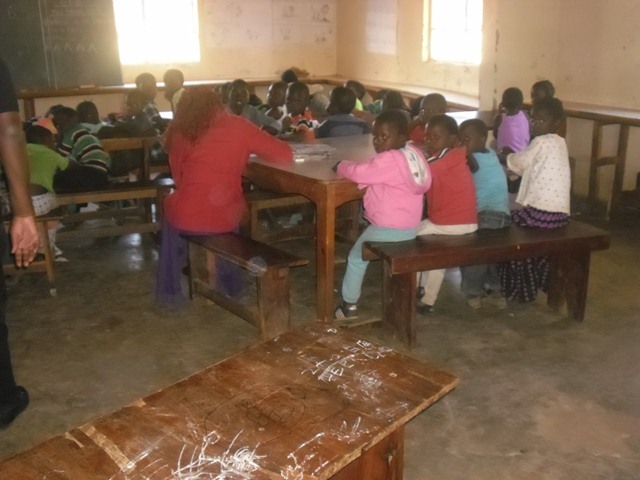 Because of the increase in the number of pupils from reception (grade ones), we have turned the dining hall into a grade one class. 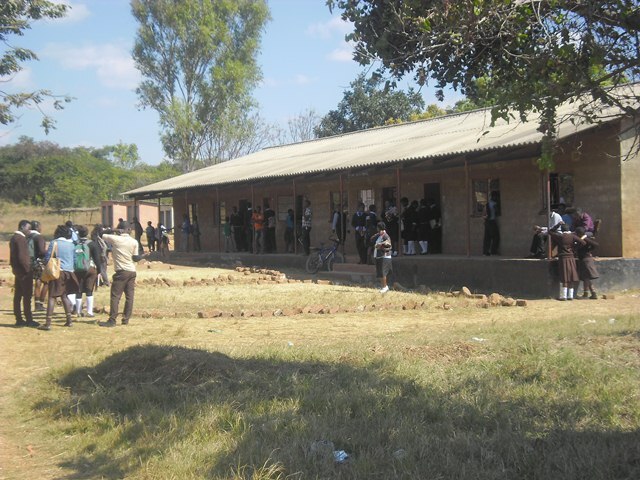 The high school students are still using the primary school block for their lessons which is causing congestion for the lower grades. 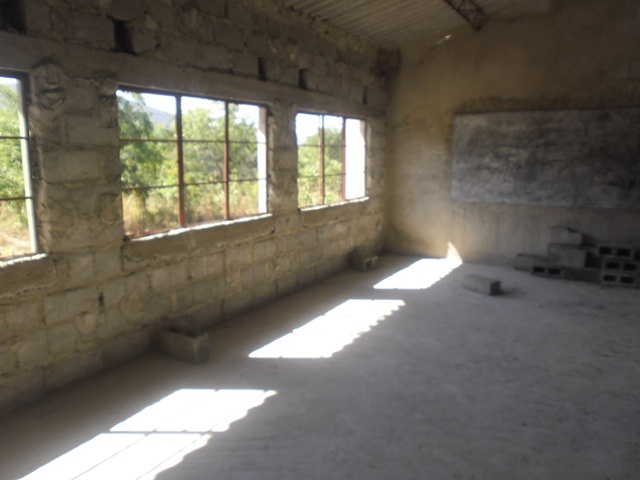 We are Appealing to well-wishers to help complete building the very much needed class rooms and ablution blocks for the high school students. 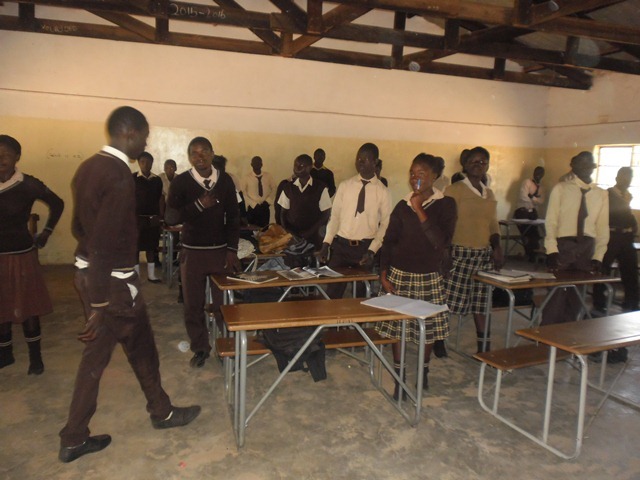 The move by the high student to their high school class rooms will De-congest the primary school and give a very conducive learning environment for the lower grades. We are also Appealing to our partners to help our school football and netball teams with sports kits for their inter school games. The school has very inspiring football and netball teams that are in need of adequate sport equipment, we also have table tennis and chess for their after school activity. This will help our pupils identify each other as teammates as well enable teachers to monitor them when they visit other schools. We are praying for a financial breakthrough locally or Oversees – anyone who may need to help a child can do so. 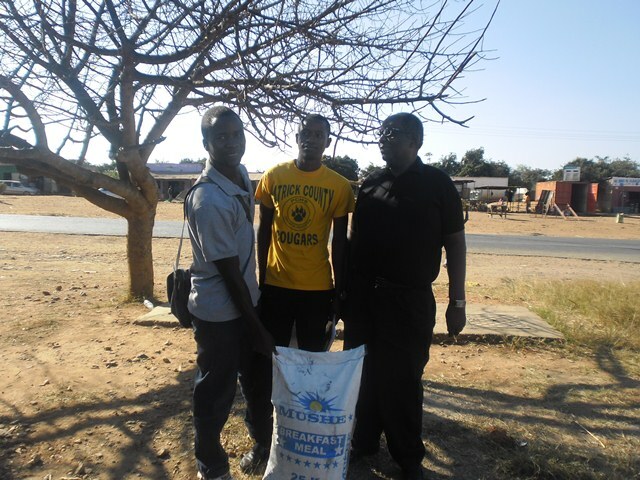 Bishop Mambo – the Founding President with the two Nyamphande boys who are studying at Chongwe teachers college. 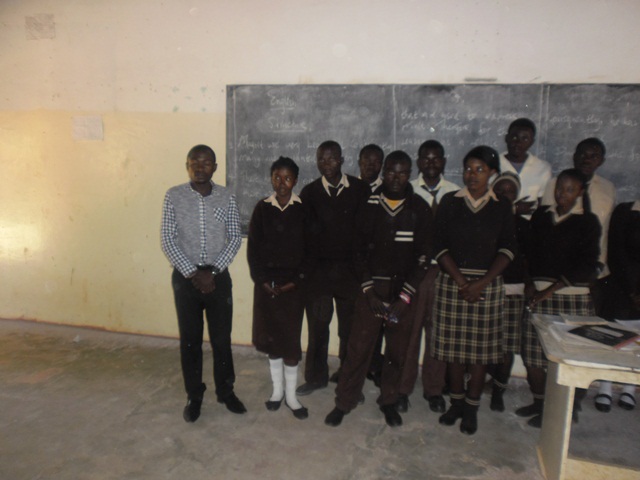 On our way to Nyamphande, we also visited those at Chongwe high school were we delivered food stuffs. The boys have made a commitment of going back to Nyamphande and help their fellow community members by educating not only the children at school but also their parents on the importance of taking their children to school. These are some of the boys Nyamphande started with 10-15 years ago and we thank God that they will join the staff at Nyamphande, so as to give back to their fellow orphans. They have promised that once they finish this December, they will be on the ground and take the challenges. 1. The government of Zambia under the Ministry of Health has seconded to us a full time nurse who is staying with the children at Nyamphande and we praise God for his favor and we have waited for this nurse for some time now. 2. 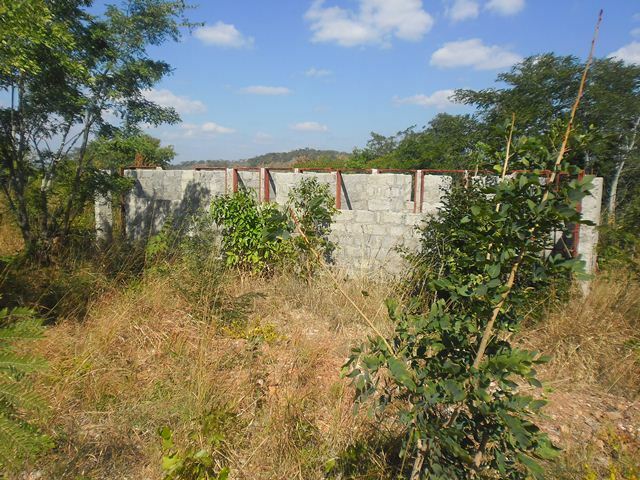 Churches Health Association of Zambia (CHAZ) has finally transferred all their assets that Nyamphande was using to the project. The items include the 2 Toyota Hilux vehicles, Hammer Mill, Sony Television and the Video Cassette recorder. This now means that we now have to service and repair the two vehicles ourselves. 3. We have also received a laptop from CHAZ; this was given to the Institution during the closing of the 43rd CHAZ general Council. 4. The government of Zambia will soon start a mobile clinic in our area Runfusa. 5. 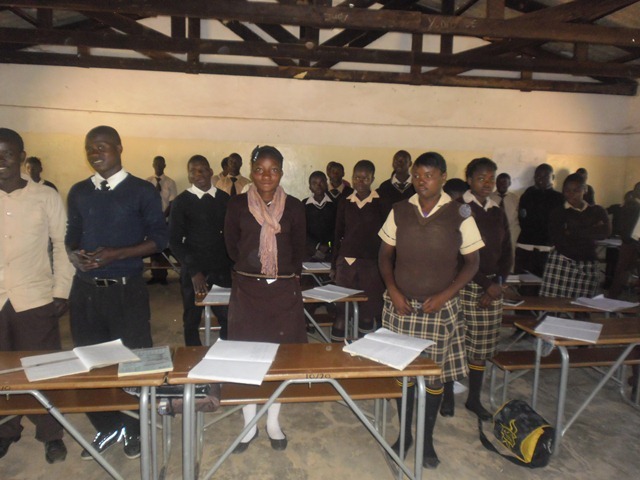 Zambia Open Communities Schools (ZOCS) has donated 40 revised training manuals for teachers. 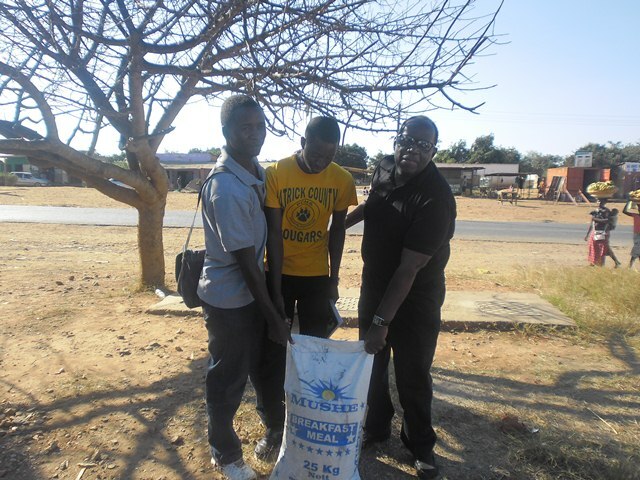 We thank God for Mushe Milling who donated to Nyamphande Orphanage 15 bags of Mellie-meal. Matthews 25:35 – For I was hungry and you gave me something to eat, I was thirsty and you gave me something to drink, I was a stranger and you invited me in. James 1: 27, pure religion is taking care of the orphans and widows. 1. We have being given a government seconded nurse and are very grateful for this as it has been had been our cry for a sometime. We are however still face challenges in the area of drugs as our clinic is catering for our children as well as the ever growing community. 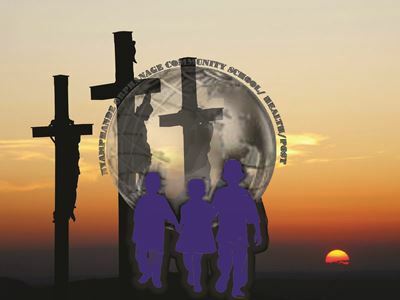 We believe in the teachings based on "love' 1 Corinthians 13:13, we have taken this as part of Evangelism outreach. 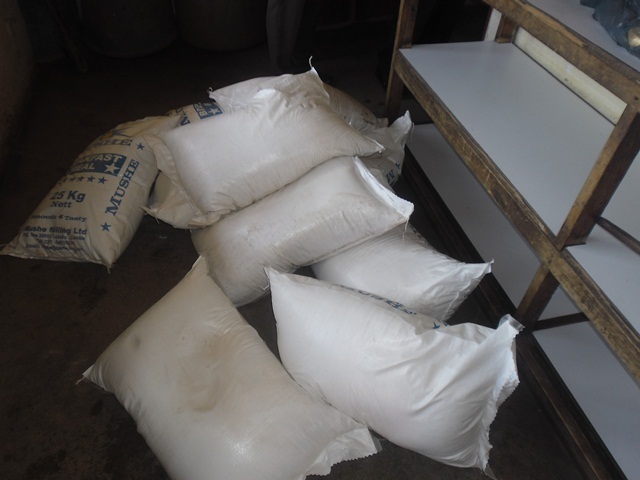 Therefore, in the area of drugs, the demand is high but we will not turn the people of God away if they need help. 2. The Clinic also needs renovations as it has lucked maintenance since it was built. 3. 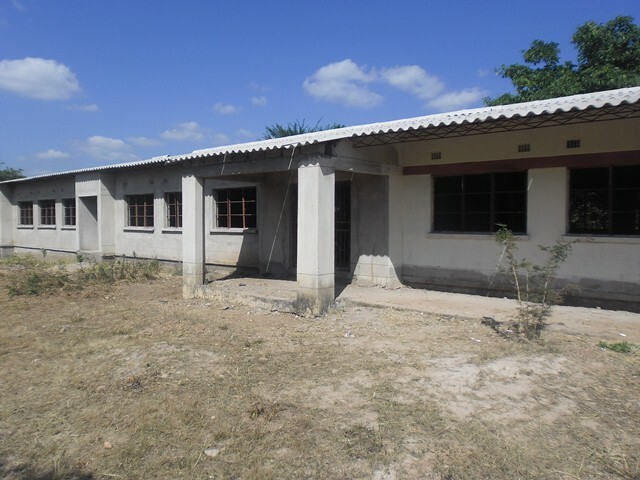 Due to the increasing number of pupils, there is need for us complete the high school and ablution block. 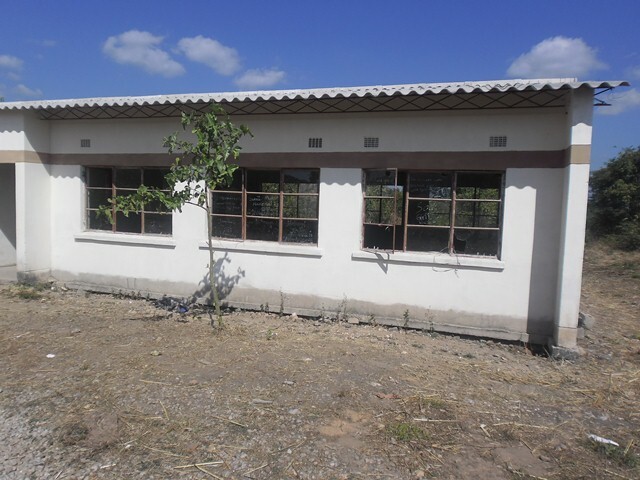 High school ablution block pending completion. The Zambia Open Community School (ZOCS) donated assorted items to Nyamphande Orphanage Community School in Rufunsa district, the gesture which has been well received by the beneficiaries. 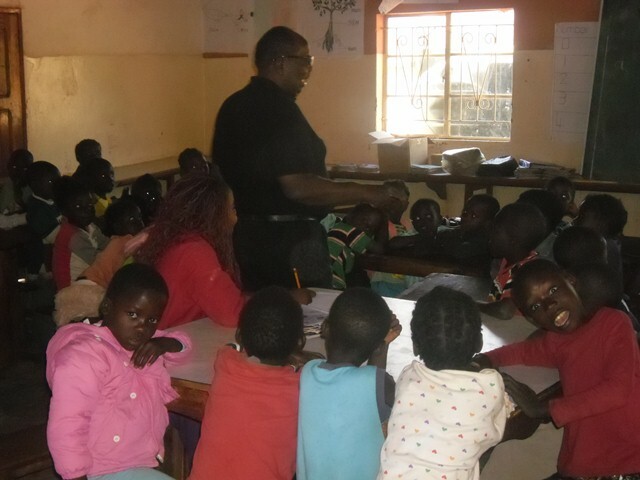 President of Nyamphande Orphanage Community School Bishop John Mambo who delivered the donated items on behalf of ZOCS emphasized the need for the religious institutions to collaborate to help the vulnerable children in the society especially those in rural areas. Among the items donated include two electrical sewing machines, 40 revised training manuals for teachers and different materials among others. Bishop Mambo said for us we are grateful to anyone who makes either a big or small contribution. Biblically we are required to help the vulnerable people in our communities, be it the church or not. 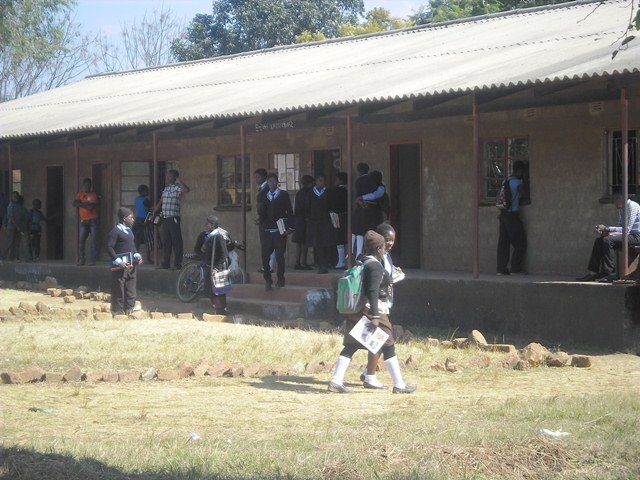 We as a team ensure that we account for everything meant for this school that’s why we come here to deliver the items donated by Zambia Open Community School. 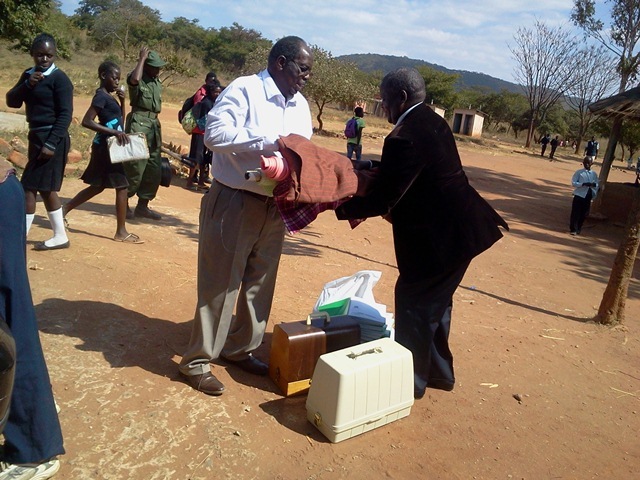 School Headmaster Joseph Buti said the donated items will ease some of the challenges the School had been facing. 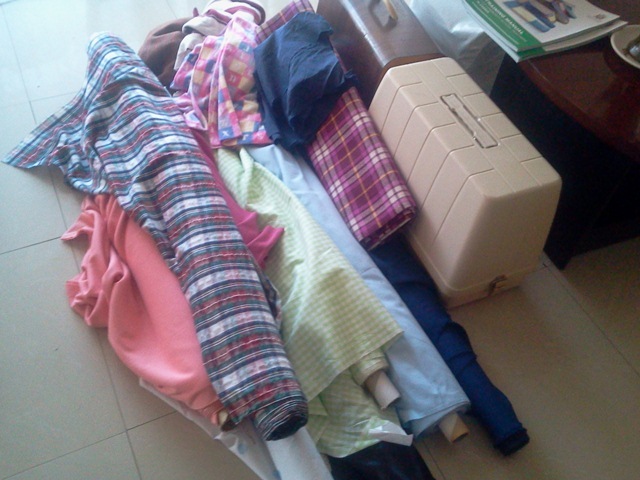 He said the two sewing machines will be given to women and girls to help empower them with skills in tailoring. 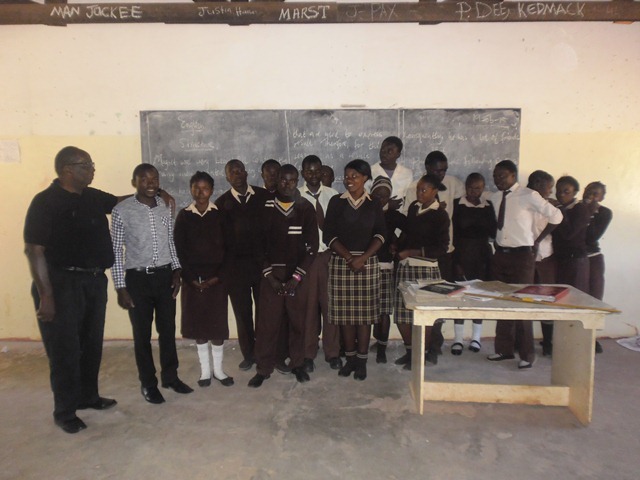 Mr Buti said the school management was thankful to ZOCS for the donation and appealed for more support from well-wishers. The Rotary Club of Chilanga has donated one hundred (100) school bags to Nyampande Orphanage Community School which is located in Rufunsa district of Lusaka Province.The Lions Club has become the latest group to extend their helping-hand to the school after the Zambia Open Community Schools (ZOCS) which earlier this month had donated two electrical sewing machines, 40 text books and materials to the school. 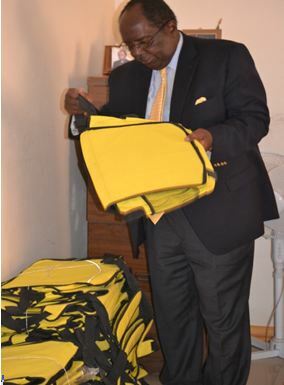 Bishop John Mambo, who is the president for Nyampande Orphanage Community School, received the bags on behalf of the school and mentioned that the bags would be given to double orphaned children at the school. Bishop Mamba a founding member of Maluwa Rotary Club said the aim of Rotarian's was ambassadorships of goodwill which he said the Chilanga Rotary Club demonstrated by donating to the Nyampande Orphanage Community School. We end by thanking you for joining us in gathering the harvest - Leviticus 19:9. For us as co-workers in Christ, our position is to save others, as we are saving God. There are many tough times but we are thankful to him.